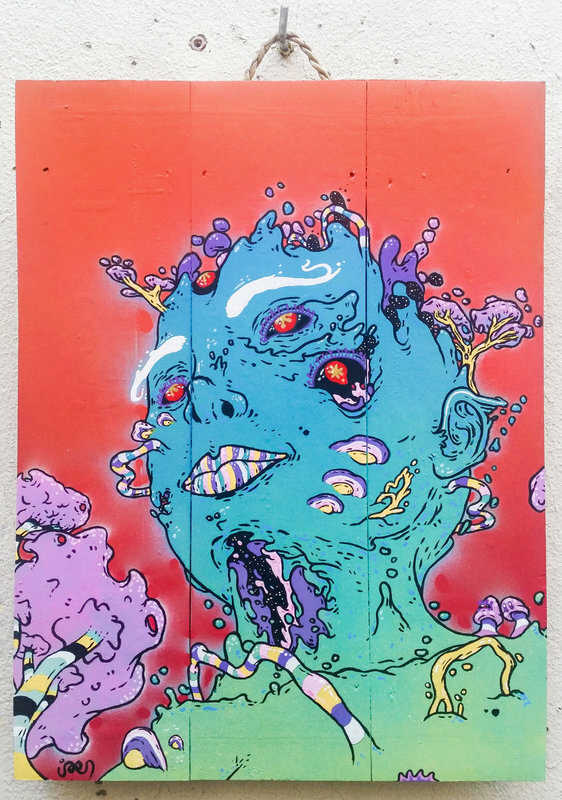 "Metasymbiosis", acrylics, Posca markers & brushes and spray paint on wood, 30×40cm, 2019. All of us, the living, are on the same glorious boat: the Earth. Mitochondrions, yeasts and bacteria are part of our body, therefore being human is not being separated from Nature. Let's have mushrooms as role models, and be the planet's mycorrhiza.